Since October 2006, the Rochester Business Journal has conducted a weekly poll of readers called the RBJ Daily Report Snap Poll. These polls are not designed to measure the views of all Rochester-area residents. However, we believe the thousands of RBJ readers who are eligible to submit poll responses—a diverse group representing businesses of all sizes, plus non-profits and the public sector—are a reasonable proxy for the region’s business community. Survey population. Subscribers to the RBJ Daily Report email and print edition subscribers for whom we have email addresses are eligible to take part in the weekly polls. The size of the survey population varies, as readers opt in or opt out of the poll database, but it averages around 18,000. Method of conducting the poll. 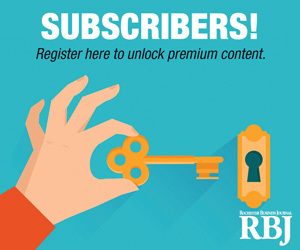 A link to each week’s poll is delivered by email to eligible RBJ readers. Tabulation of results. A software application is used to tally the results. By employing trackable links, this software enables us to identify and filter out responses stemming from a poll respondent forwarding the survey link to one or more non-readers. In addition, the software makes it possible for us to exclude multiple responses from a single respondent. If you are not already a Daily Report reader or print subscriber and want to participate in future Snap Polls, click here. If you have questions about the Snap Polls or ideas for future poll, contact the editor.